I think the currently proposed system would be able to deal with stuff like that. You would have an ability or spawn a prefab that would change the grid cell-type to a 'dangerous' or 'blocked' cell type. The Battle AI would detect the cell types and try to move accordingly. It'll probably require feedback and maybe a few additional event steps as we go. Definitely it would be a good thing to test for. This would definitely be possible with the trigger types specified in the features (such as a Turn Ended status requirement). A good thing to add though, would be an option on whether to interrupt and stop a Combatant's movement/turn if they were damaged by a trap or some other hazard. Ah I see! You think we could use the Turn Ended Requirement to fade combatants to grayscale when their turn ends? 1. Would the current proposal be able to support a turn order? As you may know, games like Fire Emblem run in a 'Player Turn -> Enemy Turn -> Player Turn' style, whereas games such as Final Fantasy Tactics and its ilk use an ATB gauge, where turn order is determined by combatants' agility (or whatever). I would, ideally, prefer to use this latter style. 2. Do you think it would 'play nice' with 2D games? I haven't been using Unity for that long (a couple of weeks), but one thing I've noticed is that 3D is very much considered 'the norm'. This is one of the things that's been irritating me about TBTK - by default, characters move along the X/Z axes, which is something of a pain because I can't switch the scene view to 2D, and have to orientate my camera like a madman. I hope that all made sense, let me know if you need clarification on anything. 1. Welcome to the forums! Yep, it can definitely handle turn order in that fashion. ORK is very flexible and can produce many types of different battle systems, so a traditional turn-based one like that shouldn't be a problem with some work. 2. Check the Dead Gear link in my signature! :D ORK can play well with 2D with just a bit of tweaking. I'd actually say that 2D is one of Unity's greatest strengths, and I've used its 2D capabilities for several professional gigs. I plan to be using this feature to create a 2D top-down Fire Emblem-like, so I'll be trying to make sure it plays nice with 2D. There is no minimum payment, however I would recommend a contribution of $75 or more if you're able so we can keep things rolling along at a fast pace. If not, then just pitch in what you can! Remember that you will NOT be charged until we reach the set goal. The current deadline is January 31, although I'm confident we'll reach the goal far before then. For the privacy-inclined, you do not need to sign up with Facebook in Tilt. (Only I had to do that!) You can simply sign up with an Email, and choose whatever name you'd like to show up in the Contributors section for the Tilt page. You can share the link with friends on Facebook I think and Instagram and Tweet it if you want to and let everyone know this is a good thing to help you make good, grid-based games. : ) They wouldn't have to contribute a lot if they didn't want to -- just show support with a few bucks. Bucks add up. I just contributed to a similar type group contribution--not called a group buy--Posh Pets--where someone in my family does volunteer work--they rescue dogs and cats from a kill shelter--well I actually bought two T-shirts for family members for Xmas as my contribution and shared their link on Facebook. You don't get T-shirts here but you get a wonderful addition to ORK. So if you can get some contributions from friends or supporters who would like to see you make a great grid-based game, share the link. : ) Tell them this is what you want for Christmas or whatever holiday you have coming up or birthday rather than a gift card to Bed, Bath and Beyond. You can have only so many sheets. Everyone will share in its bounty if this gets funded...so even a few dollars or euros or drachmas or yuans will help. Maybe you want it and don't have the recommended contribution but you want to help--you can--no one will know you didn't contribute $75 dollars. Someone among us contributed more and even we don't know who that is but we're thankful. Just press the Contribute button and do what it takes to add your contribution. EDIT: this is wrong, I'm stupid. Is there some other way I can contribute? Perhaps via a direct PayPal donation? Gamingislove has a direct paypal--maybe send the paypal to him and he'd be able to transfer it into the Tilt. But he'd have to keep track whether this funds or not--he'd have to be willing keep track, cause if it doesn't fund, you have to refund. I think this would be one way for contributions that want to fund from countries Tilt hasn't recognized yet. Or maybe send the paypal to someone like Kirb in a country who can put it into the Tilt? And get it back to you if it doesn't fund. But we're all rooting for it to fund. And I'm hoping it will. I have a paypal and would be willing to do that. I'm a lawyer so I don't think I'd have a trust problem--because if I messed up I'd be vulnerable to losing my license-- but I have every confidence in Kirb. If he wants to take on the responsibility. Otherwise I'm offering to do it. My contribution is under my name because that's the only way Tilt lets you do it. You can google me--Brenda Sebolao--personal injury attorney in New York City. I've been licensed for awhile and no one has ever complained about me, to my knowledge. But maybe Kirb would like to do this. Otherwise I'm happy to do it. Or maybe there's another way. I'm kind of hoping there is another way. I had no idea this would come up and I'm sure Kirb didn't either. He was looking for a trusted funding vehicle. I know I have betatesters for my games in China who can't use google even to get my betas. I have to send them betas via yahoo--gmail doesn't work so all this is really very complicated. One problem I see about this is that if you send the paypal to someone--whoever it is--how can they give you credit it for in the Tilt forum--the contribution will show up under their name--well they could maybe do it via a sub post? Not sure how that would work. But maybe we all want this so much no one will care. And maybe there could be a list of contributors finally here in this thread once it funds. Although, I think that list mostly applies for people RUNNING the tilt. According to here you can still contribute to a Tilt by using an internationally recognized credit/debit card, should you have access to one. (Although I wish they had Paypal support). I think we should provide a way for people to support via paypal if that's the only way they can support or if that's the way they want to support. There has to be a solution for Jade's problem. If she could have contributed via credit/debit I think she would have. It appears she tried and it failed for her. I don't know what country Jade is from but I know people from China at least have some problems using normal channels on the internet and we have Chinese game developers here. Can we make a way for paypal to be used? It shouldn't be that many instances that would come up. Just one of us has to be willing to accept the paypal payment from the contributor and send it to Tilt to support the new grid-based stuff. And then refund it if necessary. Hopefully that will not happen. Jade seems from her posts to have a good stake involved in making this happen for her and that would help us all so lets try to make it work for her somehow. Whatever it takes. It seems the basic problem is that in some countries you can't make a payment from your bank account--which would probably be a debit payment. 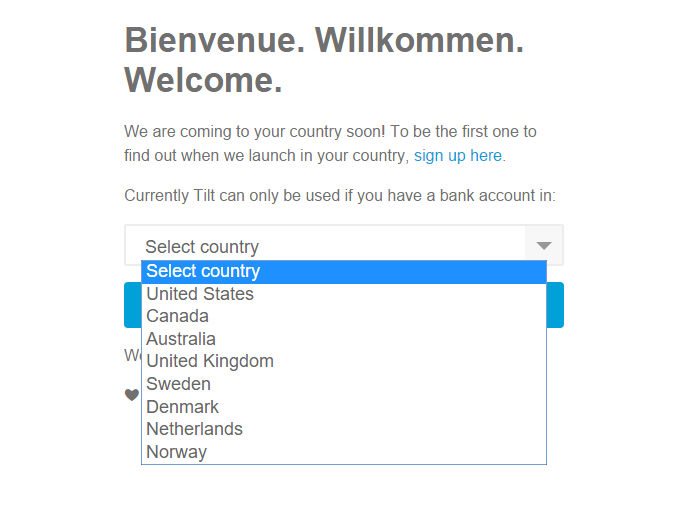 If you have a paypal it can be hooked up to your bank--so if you send a paypal payment to someone who has a bank credit card/debit card in a country accepted by Tilt you can contribute. Because they can reinvest via a credit card payment in our Tilt. I really enjoy just making games and I thought once i contributed that was the end of my involvement. But I would like this to happen so let's try to make it happen for everybody, somehow. No one who wants to contribute should be left out. There has to be a way. And everybody who contributes should somehow get recognition here. Jade would like to contribute so let's get her a way to do it. Even if it just means she sends gamingislove some whatever her currency is via paypal and he sends it back if things don't work out. Nobody's asked him if this would be a hardship for him. Maybe it would and maybe it would not. If gil gets paypal payments for our group buy can the total amount we need to get funded be reduced on Tilt so things can even out? Can you change the total amount needed as a Tilt funding goes on or is it fixed in stone? It's not just that I'm not involved with money until this is funded, my country (Austria) is also not on the list and I'd also need PayPal support. So let's figure out how to do this without involving gamingislove. I'm a little bit troubled that Austria is not on the list. How many countries are not on the list? But let's solve this somehow. Or else we might not have a grid based system and none of us wants that. There hasn't been any upward movement in contributions. If your country doesn't pop up and you can't contribute . . . well post here and hopefully things will adjust. I contributed. But I'm worried about Jade and others. And I don't know the solution for Jade's or anyone else's problem. There has to be a way. I'm sure more contributors will pop in during the next week. I'll be handling the process of getting the money to GiL as well, so no need to worry there. I'm not too worried about this unless a significant amount of people are completely unable to contribute. We'll wait for Jade to respond first, as well.